It's easy to find a printer. It's harder to find the right one. When you need to print a document, you don’t want to think about it. You click “print.” The document prints. You move on with your day. Hidden in this simple process many of us do dozens of times each day is this: with so many choices, how do you know you’re getting the right printer for your business? Is it fast enough to keep up with your printing needs? Is it faster than what you need (and so you spend too much)? Do you really need color? What’s the cost of ownership of the device? Will it sit on the floor or a counter? Datamax Arkansas works with you so that you get the right printer for what you need to get done. We have a huge selection of options (color, black and white, speeds, print capacity) for our Dell, Lexmark, and HP printers. On top of stellar print quality, these manufacturers have low total cost of ownership because of their quality and minimal repair needs as well as toner costs below those of their competitors. 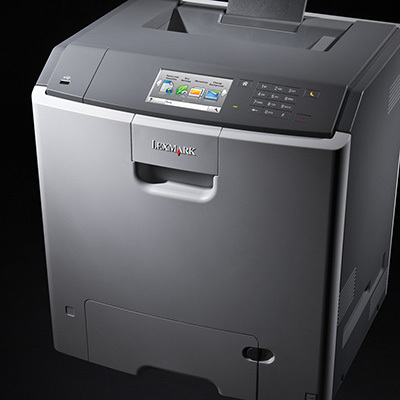 For smaller offices, A4 printers can be a perfect fit. They print A4-size paper (8.26” x 11.69”) instead of the more common letter-size 8.5” x 11”. For standard documents and small images, the compact size and quality is often exactly what smaller offices need. Apps that extend productivity – like mobile printing. Color Makes a Great First Impression! Cost-effective color printing helps your business make a great first impression on your customers. And smart use of color can even encourage your customers into action. Color capabilities can even rival print shops for some jobs with advanced finishing options, different types of media, user-friendly color calibration, and advanced toner for clear, sharp output. Whether you need to support a team of two or 2,000; we’ve go the right equipment for you. For high-volume printing needs, check out our production print information. If you’re ready to find out what your real print needs are, consider a Datamax Arkansas Print Assessment – or even a more thorough print audit. We’ll work with you to discover your business needs and the exact right mix of printers (and copiers) to meet those needs. And we’ll do it with our least-cost approach to printing.